Many families use inexpensive mobile homes as a ‘stepping stone home’ – they live in them while saving up to buy their dream home. New and used manufactured homes are great starter homes for young families and retirees that don’t want a lot of space to have to maintain. These 5 homes are smaller but none cost over $16,000. You could save a ton of money living in a mobile home! I like to think all of these sellers are moving up to their next dream homes! 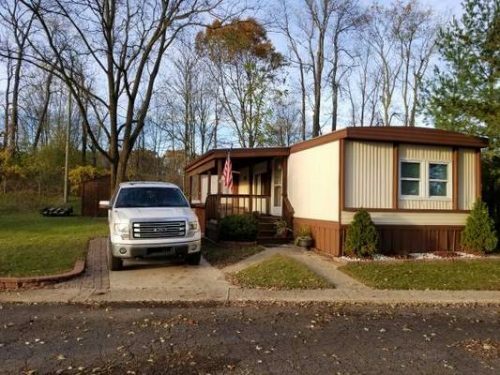 Here are 5 great looking mobile homes we found on Craigslist. The link to the original postings are always listed but remember these inexpensive mobile homes usually go fast so the listings may not stay active very long. We are not affiliated with the sellers at all and know nothing about the homes other than what the listing states. We just like sharing inexpensive mobile homes. 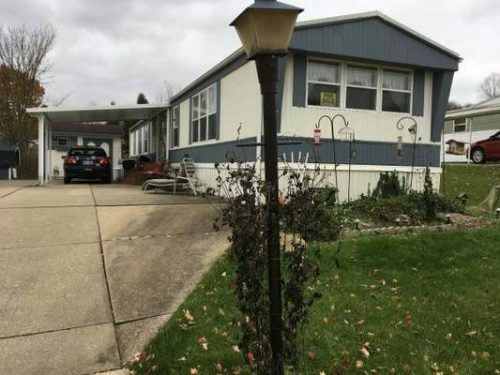 If you are looking to buy a mobile home of any age you absolutely must hire an inspector that checks every inch of the structure before you buy. I can’t stress this enough. With that said, here are 5 inexpensive mobile homes that we thought had potential and could make a great home for someone looking to save money. Our first find is a 1974 Hallmark is located right outside of Flint, MI. This 980 square foot 2 bedroom mobile home is a hidden gem and it looks likes the owners have maintained it well. This 1974 single wide has had many recent updates, the greatest being the bathroom remodel. It includes all stainless steel appliances in the kitchen. $5000 seems to be a very fair asking price, the updates alone probably cost half that. Home has sold. 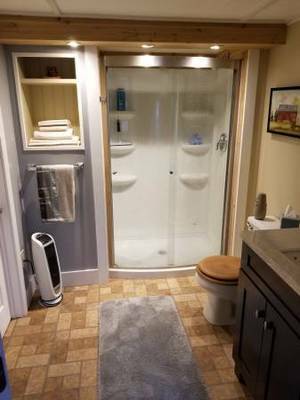 The bathroom remodel is a plus in this mobile home. 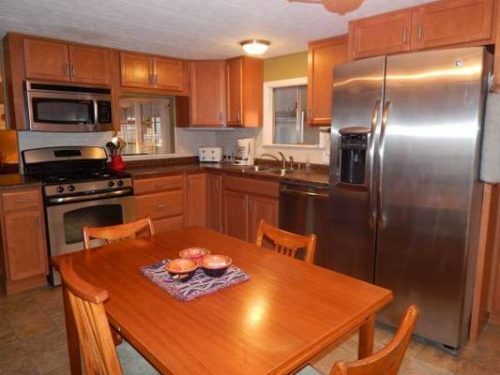 This 1990 2 bedrooms, 1008 square feet Skyline Hampshire is close to Canton, OH. 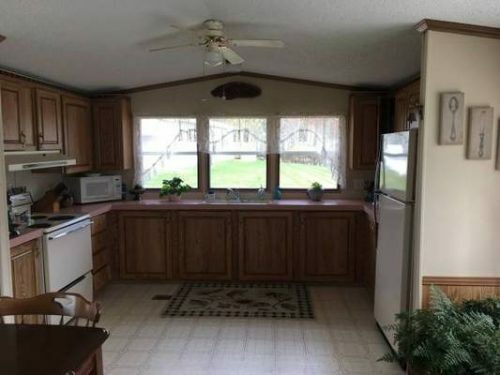 It includes all of the appliances and has a lifetime guaranteed roof. This home has great curb appeal and the interior has one of my favorite layouts, a kitchen on the end! It’s something we don’t see very often. Home has sold. Exterior offers great curb appeal. The windows allow for tons of natural light. This 1967 New Moon is awesome. 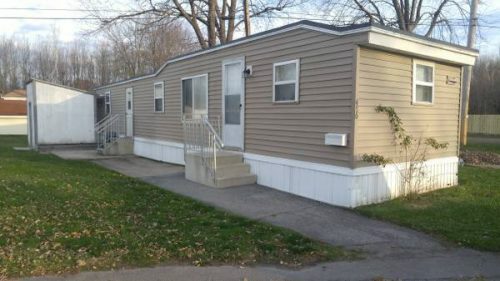 It’s a little smaller than some, at 720 square feet and 2 bedrooms but it has been recently fully renovated and is already in a mobile home park outside of Rochester, NY, so no moving required. 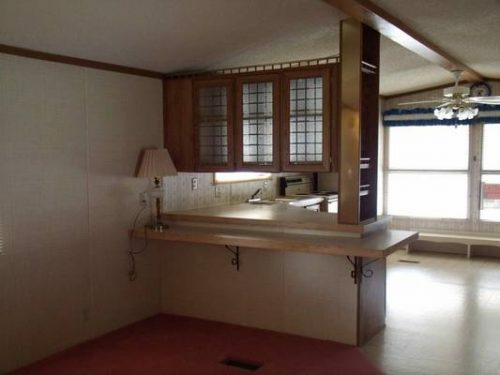 Our favorite feature of this mobile home is the end kitchen (I have a thing for end kitchens!) and all the cabinets in the kitchen. We all know that the kitchen is the most important room and this one is a winner. Home has sold. Exterior could use a little TLC. A great example of the typical open floor plan. You wouldn’t know by looking at it, but this Bainbridge Mobile Home was manufactured in 1974. 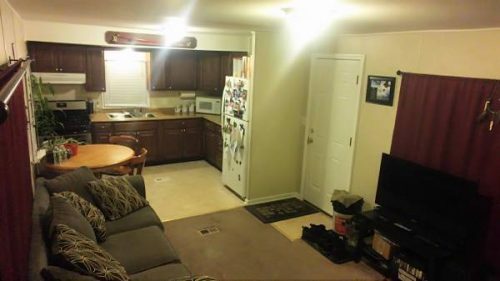 This 980 square foot, 2 bedrooms mobile home has a completely remodeled kitchen, laminate flooring throughout and a beautiful exterior. We love the covered porch and how well maintained the home is for its age. 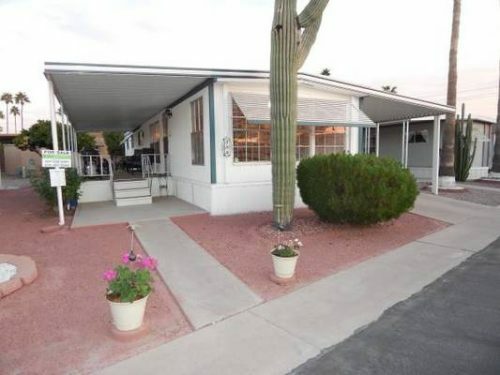 This may be a steal for the price if you are looking to settle in Arizona in a 55+ community. Home has sold. Great look for a desert mobile home. Looking for a fixer upper for your retirement years? This 1989 Skyline Amber Ridge would be the perfect fit. 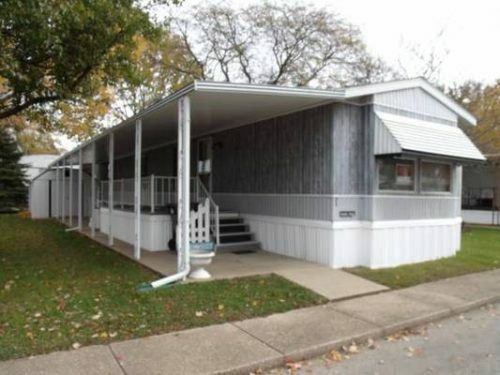 At around 980 square feet, this 2 bedrooms mobile home appears to have great bones but could use a little TLC. The mobile home features an open floor plan and a covered porch the length of the single wide. Located outside of Peoria, IL it sits in a 55+ park. The best feature? A gorgeous exterior with what looks like recently updated mobile home skirting. Home has sold. The frosted cabinets look nice over the bar. As you can see, there are some great inexpensive mobile homes available online. Just remember to be cautious and have the homes inspected before making any purchase. You may also want to read our article: Buying A Used Mobile Home for some great tips before you buy.